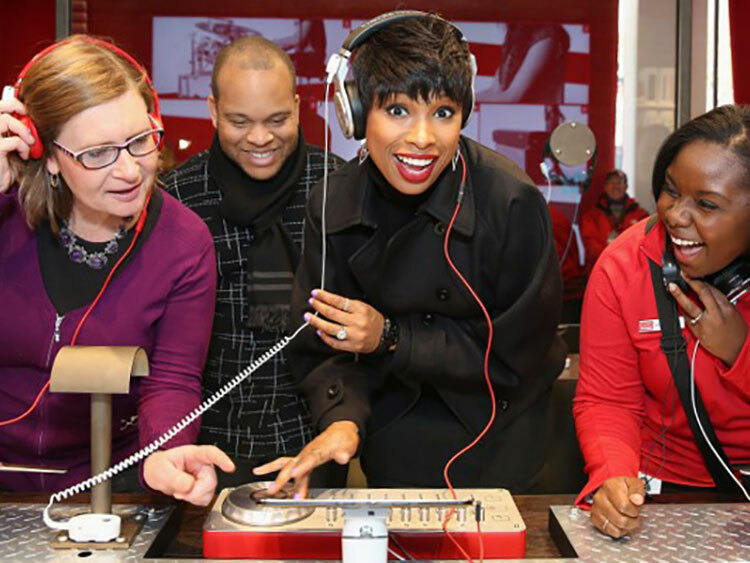 One year after we launched the Amplify It Mixer, Verizon asked us to reinvent the experience with a focus on social and a DJ-centric theme. So we stepped up our game. 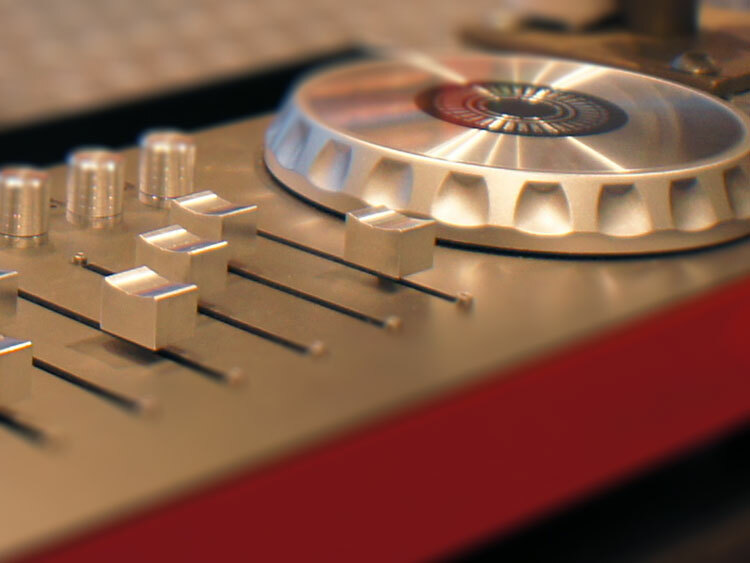 We designed, machined and custom built a DJ mixing console with effect channels, volume controls and a scratch pad. We composed hundreds of unique beats and musical sounds. And we filmed live musicians to sync each looping track with a unique video clip. 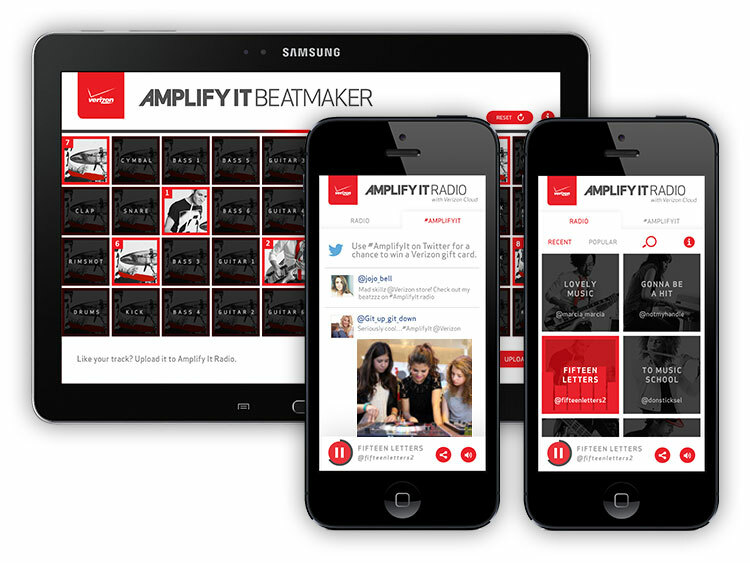 The result was the Amplify It Beatmaker - a song and video creation tool that allowed every Verizon customer to play, mix, and "be the DJ." But that was just the Beatmaker experience. With 40 loops to choose from, 9 channels, and per-track volume and effect controls, no musical creation was ever quite the same. Every time a user mixed their custom track, it was pushed to Amplify It Radio, where all the user-generated song mixes could be listened to, searched, tweeted, downloaded, and ranked by popularity. Users could access the Radio at a listening station in store, but could also access it from their mobile device or desktop computer. This brought the experience to a larger audience and broadened the reach of what would have otherwise been solely an in-store experience. 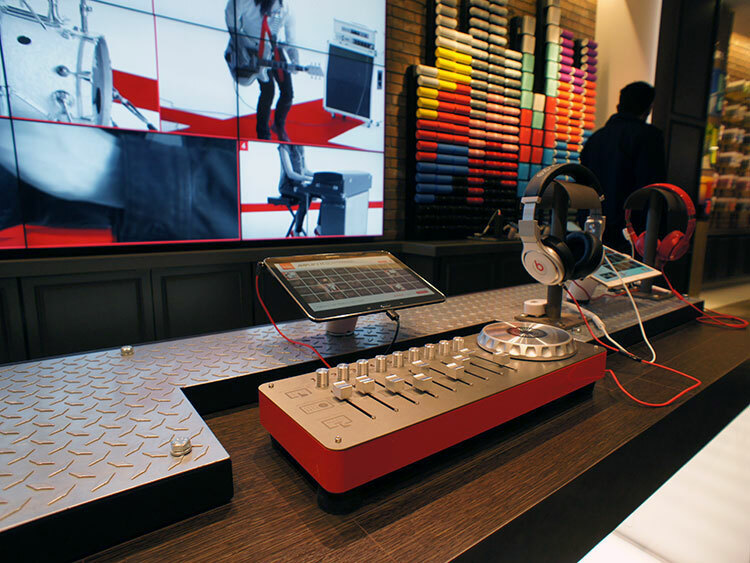 The Amplify It Beatmaker project united industrial design, app design, music composition, the remix culture, filmmaking, and social and online executions to bring a truly unique experience to Verizon's signature Destination stores.